Cooper City Optimist Softball consists of girls between the ages of 4 and 14 who compete in both recreational and competitive travel leagues. We offer a spring and fall recreational season. Girls Softball offers t-ball for the younger players. We have age divisions in our in-house recreational league for 6U, 8U, 11U, 14U. We also offer a competitive travel league (Cooper City Cobras) with teams competing in the 8U, 10U, 12U, 14U, 16U and 18U divisions. Our Cooper City Cobras travel teams have been very competitive, and have served as a feeder program to several area high school teams. Girls softball promotes good sportsmanship through our recreational teams as well as our travel teams. The Girls Softball Program would not be a success without the dedication of our volunteer coaches and the support of our parents. THANK YOU! 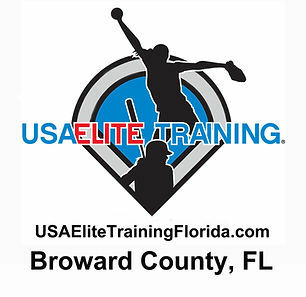 The Cooper City Optimist and the Girls Softball Program would like to thank USA Elite for providing this service to us. Make sure your girls attend the free Pitching and Hitting clincs we are providing! AN OPPORTUNITY TO PLAY IN THE BEST RECREATIONAL LEAGUE IN BROWARD! We promote teamwork, kindness, and athletics! at this time to the coaches.